Today’s face: Daisy. This was such a special drawing experience for me. This is my daughter Daisy drawn from a photo she sent me a couple of days ago taken by a friend. When I was drawing the initial pencil sketch and had just her eyes, nose and mouth drawn I could clearly see the 5 year old Daisy. It was really magical. And then as I added more features she morphed into her 21 year old self. I’m so grateful for the gift that both Sketchbook Skool and Sktchy have given me, that with confidence and daily practice and confidence I can now produce a portrait like this of her. Drawn in a Leuchtthurm 1917 sketchbook with Copic multiliners and Copic markers and finished on an iPad Pro with an Apple Pencil using the Procreate app. Today’s face: Cheyenne, inspired by Sktchy. This is another portrait heavily influenced by this week’s teacher in the Sketchbook Skool Watercolor Rules kourse, Inma Serrano and her amazing use of colour. Today’s face: Jewell, inspired by Sktchy. I’m doing Sketchbook Skool’s Watercolor Rules kourse at the moment and this week’s homework is to use both watercolour and gouache together so I decided to use them both in today’s daily Sktchy. Drawn in a Laloran sketchbook with Micron pens, painted with Zecchi Toscana watercolours and Caran d’Ache gouache and finished with Prismacolor coloured pencils. Today’s face: Stuart, inspired by Sktchy. Stuart is a friend from Sketchbook Skool as well as a Sktchy artist and muse and he’s also this week’s Sktchy Friday Face, which I am a day late drawing. Drawn in a Moleskine watercolour sketchbook with Micron 005 and 01 pens and painted with Zecchi Toscana watercolours. 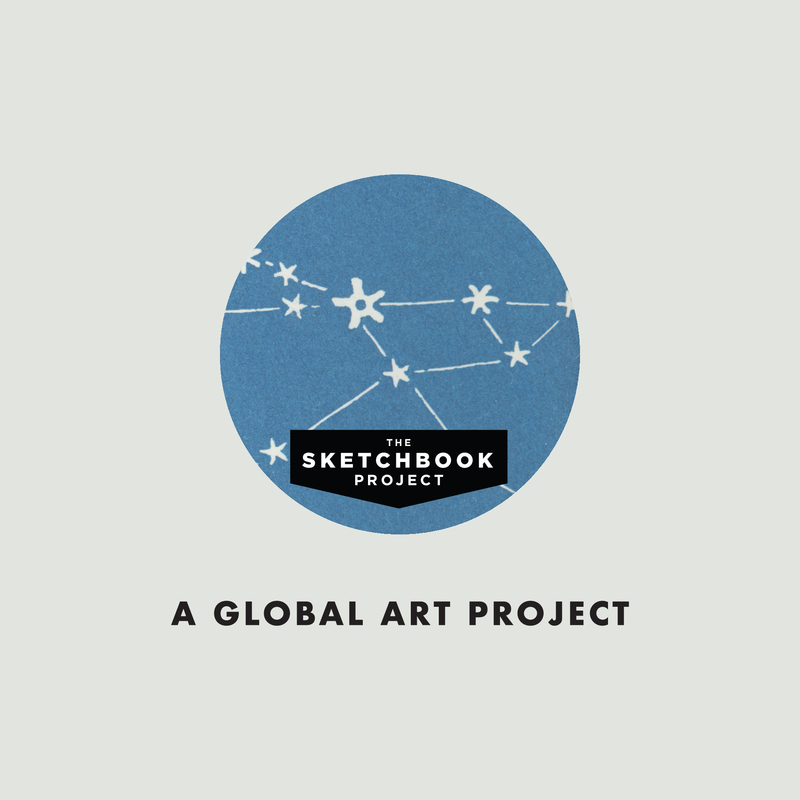 I’ve mentioned a number of times over the past month that I’ve been working on a project for the Sketchbook Skool course Illustration Nation. I finished my project last weekend and uploaded my images to the print on demand sites Redbubble and Society 6 over the last couple of days, so you can now buy posters, prints, greetings cards and phone cases featuring my designs from these sites. I hadn’t initially intended the designs to be used for phone cases but when I uploaded the images I liked how they looked so I’ve added those and even ordered a phone case for myself! In the meantime if you’d like to have a look at the products you can buy featuring these designs you can visit my stores at Redbubble and Society 6. Today’s face: MyHung, inspired by Sktchy. This is another preliminary portrait for my Sketchbook Skool Illustration Nation project.